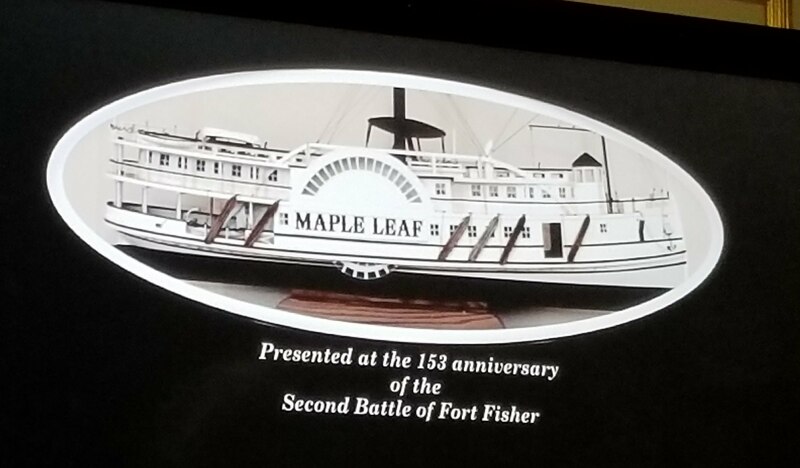 Keith Holland spoke on The Maple Leaf: A Civil War Shipwreck at the January 15, 2018 meeting of the Federal Point Historic Preservation Society. The transport ship Maple Leaf sank in Florida’s St. Johns River in 1864, carrying over 400 tons of cargo. Keith spoke on the efforts to find and preserve some of the artifacts from that shipwreck. The first thing that struck me about Keith’s presentation was his obsession with shipwrecks. After scuba diving in Myrtle Beach and finding a brass spigot from a shipwreck there, he was determined to find a shipwreck near his home in Florida. He’d rather find, he said, a square cut hand-hewn nail than a 10-carat diamond in his search. His research showed that there was probably a yet-unidentified wreck in the St. Johns River, and he spent close to 10 years and an undisclosed, but large, amount of money to form St. Johns Archeological Expeditions and find it. This led to the discovery of the Maple Leaf, a Civil War cargo ship sunk in 20 feet of muddy sludge and carrying 400 tons of stores. The muck provided an oxygen-free environment and excellent preservation of the ship’s artifacts. Keith and his dive team brought up many artifacts in 1989, which are now under the jurisdiction of the state of Florida. 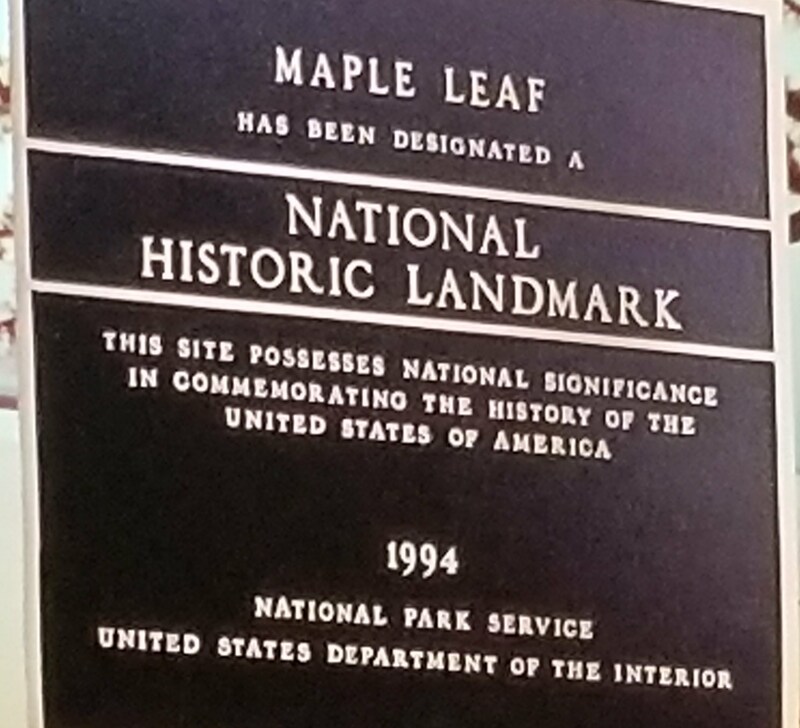 The Maple Leaf Site became a National Historic Landmark in 1994. The Maple Leaf was a transport carrier and carried the ordinary baggage of at least three regiments. It’s the most important repository of Civil War artifacts in existence and, to me at least, a fascinating window into the minds and lives of the men whose possessions were preserved. What does a soldier carry with him when going to war? What personal reminders of home and life does he bring? 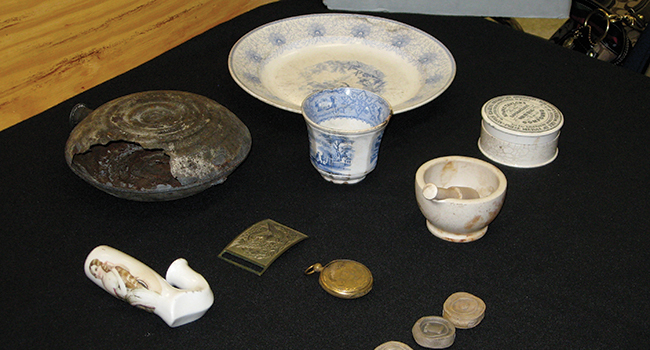 Keith shared pictures of some of the finds: teacups, diaries, letters, chess pieces, a pocket watch, seashells. This collection of the ordinary pieces of lives lived and lost serves as a powerful reminder that there is no such thing as a “civil” war. Keith observed that while the war affected the North, it destroyed the South. 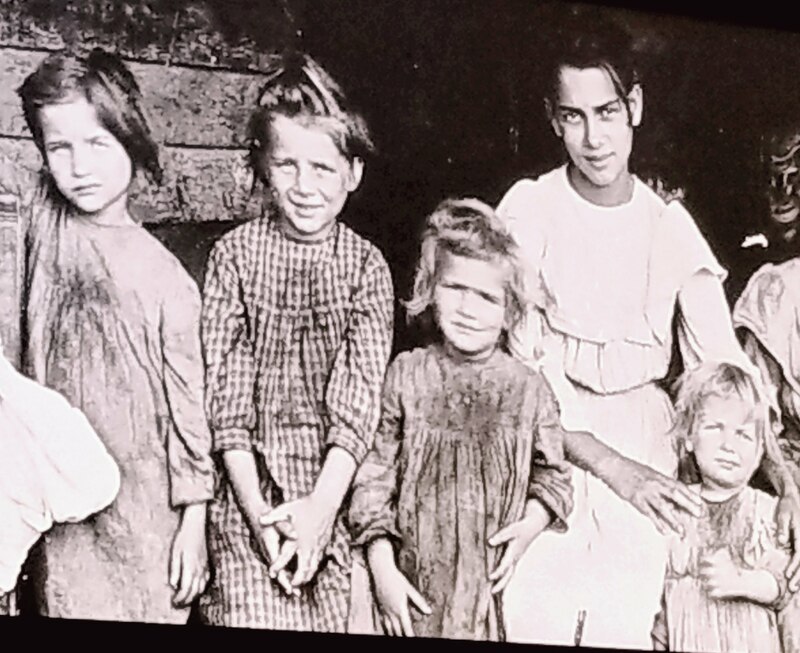 He dedicated a montage of photographic images and song to the women left behind in war. 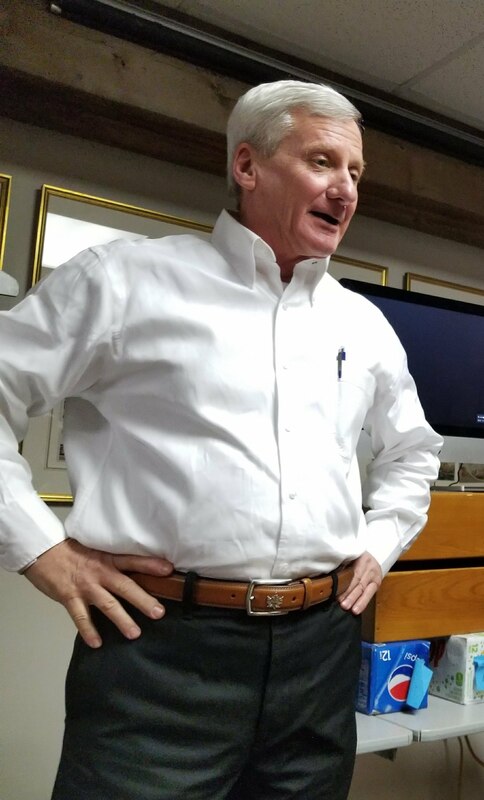 At the end of the formal presentation, Gil Burnett and Skippy Winner, both long-time History Center members, shared briefly a few of their own experiences finding underwater artifacts.